There was a long time debate between philosophers and psychologists about whether or not humans are born with a moral compass of “right and wrong” or if we were born with a blanks slate. Based on recent studies with babies, researchers are now able to substantiate the claim that we are born with a moral compass. Here is the study if you would like to read it http://www.cnn.com/2014/02/12/us/baby-lab-morals-ac360/index.html. For Christians, this revelation should not be a surprise; we all our familiar with “the fall of man” story in the Garden of Eden in Genesis 3, when Adam and Eve disobeyed God and ate the forbidden fruit. Once the disobedience occurred, they felt separated from God because they knew that they were wrong. This “feeling” of separation from God, when we disobey His word, still holds true today. We define it as guilt and shame. 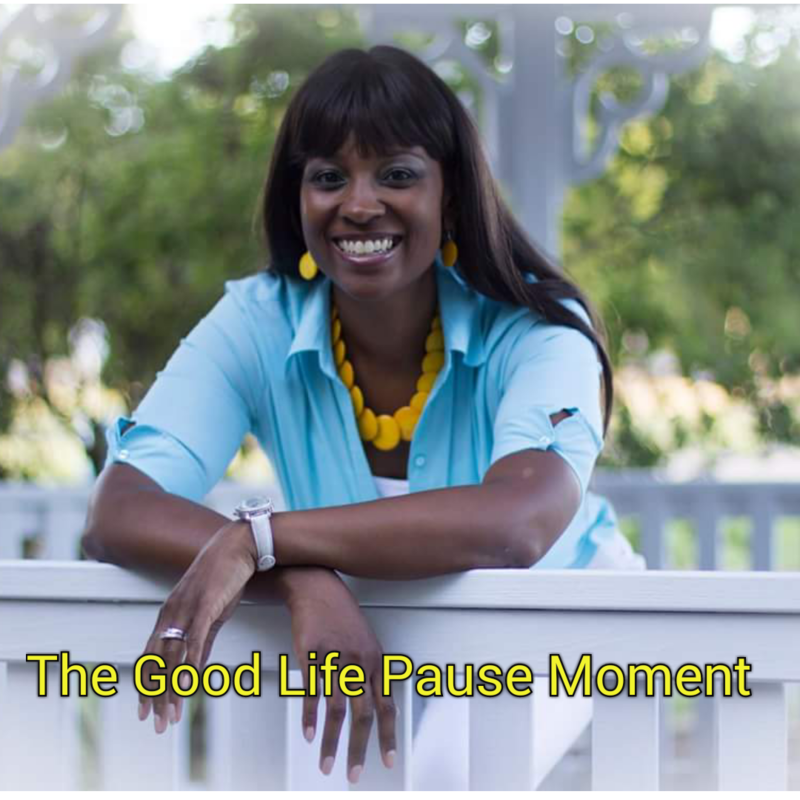 Those feelings often overwhelm us and we sometimes find it difficult to forgive ourselves. Like Adam and Eve, we often hide from God’s presence because we are afraid of what our Heavenly Father will say to us. Romans 8:1 reminds us that there is no condemnation for those is Christ Jesus. We can often read this scripture, but find it difficult to accept this as a truth. The enemy continues to repeat the scenario in our minds and it becomes difficult to move forward. Following after righteousness and hating evil becomes a daily challenge. 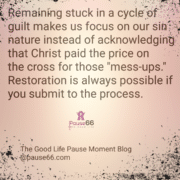 Remaining stuck in a cycle of guilt makes us focus on our sin nature instead of acknowledging that Christ paid the price on the cross for those mess ups; restoration is always possible if you submit to the process. The steps towards restoration are to first pause and ask God for forgiveness. Then, repent from the action and not repeat it. Next, you need to acknowledge Christ’s love for you and know that there is nothing that you can do to stop His love. Lastly, keep moving forward and don’t turn back. Don’t continue down the path of destruction, but allow God to restore you.